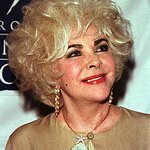 The Los Angeles LGBT Center has been awarded a grant for $10,000 from The Elizabeth Taylor AIDS Foundation (ETAF) in partnership with Macy’s to fund an HIV prevention program tailored for LGBT youth. The grant will be used by the Center’s Sexual Health and Education Program, which provides cutting-edge HIV prevention care that includes rapid HIV antibody testing, ultra-sensitive PCR/DNA HIV testing, comprehensive Sexually Transmitted Infection (STI) testing and STI treatment, post-exposure prophylaxis (PEP), pre-exposure prophylaxis (PrEP), and more. The Center is honored to be recognized by ETAF for its unique work in the community. Through their Cause Marketing Program, Macy’s recognizes their responsibility to the community and their concern for the needs of their neighbors. They are proud to partner with ETAF and have contributed to this grant. Elizabeth Taylor established The Elizabeth Taylor AIDS Foundation (ETAF) in 1991 to support organizations delivering direct care and services to people living with HIV and AIDS, especially the most marginalized communities. Today, ETAF also provides grants for innovative HIV prevention education and advocacy programs to existing organizations around the world. With key domestic advocacy funding focuses on comprehensive sexual health education and HIV criminalization reform, ETAF continues to bring the marginalized to the center of attention and advocate for their rights. The Elizabeth Taylor AIDS Foundation has granted to more than 675 organizations in 44 countries and nearly all 50 states in the U.S.